With an aim to create a community of women who are able to rise above the many strains and stresses they often encounter, The Bespoke Women is an attempt to raise the ceiling of a woman’s aspirations. The event brought together some accomplished women leaders from across various fields to talk about their journeys and share their nuggets of wisdom with an enthused audience. The sensitivities that are built into the DNA of a woman make her unique. Bespoke Women aims at allowing women to revel in the beauty of this uniqueness and create an environment that manifests unrealized potential. 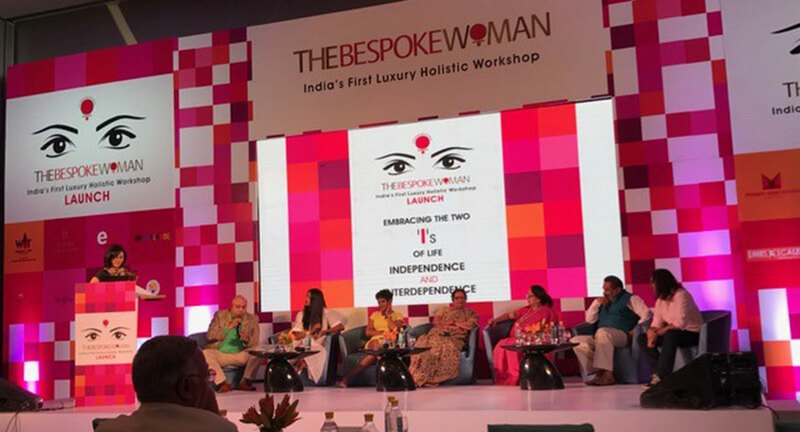 “Unlike most women-centric events, the idea of Bespoke Woman is not to advocate women empowerment, which in most cases seems like a desperate cry for attention. It is instead a medium through which we can connect intelligent urban women to form a support system, a ‘tribe’ if you may, and build a community of change-makers”, says Kanika Sethi Babbar, Managing Partner, Bespokensemble Events. The event kicked off with Punam Chadha Joseph, author of 'The Soulful Seeker' setting the tone with a poem exclusively written for the gathering. The day was replete with a power packed agenda of thought provoking conversations. The Female Leaders interactive session included Radhika Verma (Neuro Linguistics Programming Practitioner), Sangeeta Gupta (Chief Commissioner of Income tax), Chavvi Rajawat (Sarpanch of village Soda in Rajasthan), Konia Khanna (Director, Marketing India Sworovski), Shalini Arora Kochhar, Founder Women On Top and Celebrity MC Gtikka Ganju Dhar. The women shared inspiring life mantras and their unique recipes for tackling crisis situations. They spoke about their various personal and professional roles and how they succeeded in coming up roses each time. Topics like mind-control, reinvention, and adaptation made for interesting viewpoints and stimulating discussions. Anurag Batra, Chairman & Editor in Chief Businessworld; Sabbas Joseph, Founder Wizcraft & President EEMA; Model Carol Gracias; Comedian Papa CJ; Lydia Buthello EVP Brand experience and events for Star India; Neera Shastri Senior Leader of BJP and youngest daughter-in-law of Late Sh. Lal Bahadur Shastri and Priti Srivasatva, Vice President Regulatory Operations at Reliance, debated on the topic ‘Independence and Interdependence’. Champagne and desert was served courtesy, Chandon and Alka Butial Chopra of Doughreme Kids to add a dash of flavor and keep spirits high. Charu Shankar Laul kept the momentum going through the day as the event emcee. The Bespoke Woman unfolded their first project with women at the grassroot level by adopting village Soda in Rajasthan and committing to provide impetus to its growth. Village Sarpanch Chavvi Rajawat shared some inspiring insight about her life as a village head before pledging an alliance with The Bespoke Woman. The Rengey Strains/Akka Bakka team Chandanna Dutta, Suvidha Mistry and Vandana Bist stepped forward to assist with the learning center at Soda. 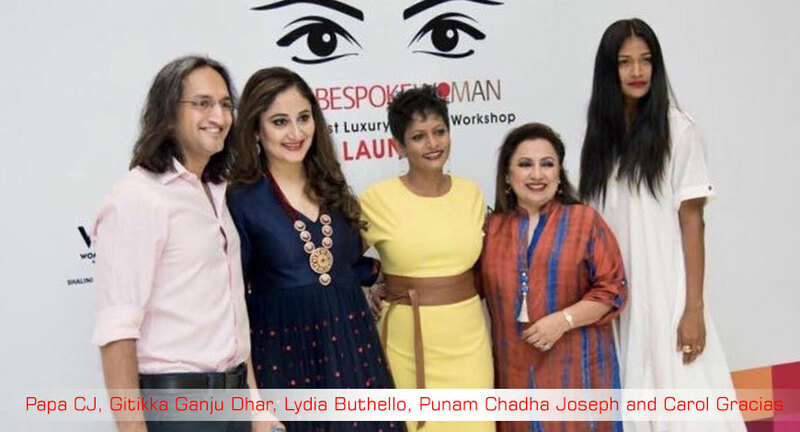 Punjab Jewelers' Rajiv Verma has also committed to a strong support system with projects under taken by The Bespoke Woman as their woman empowerment initiative. “We want to reach out to women at various socio-economic levels in a manner that they can best relate to. Thereafter, The Bespoke Woman strives to work on structured programs to have both groups mingle and build an interdependency nurturing and elevating one another. 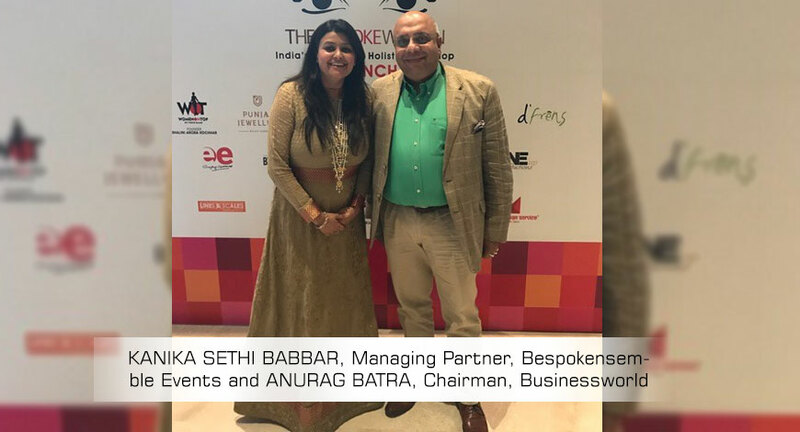 This platform is also an opportunity for corporates and business houses to undertake a CSR initiative or utilize it as an experiential marketing platform in an extremely impactful and intimate way”, signed off Kanika Sethi Babbar as the curtain fell on a soulful launch of a promising initiative.